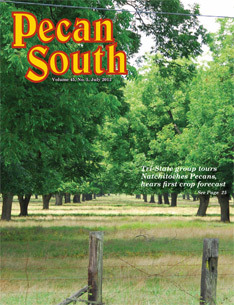 Our News and Press page is an archive of Natchitoches Pecans in the news. 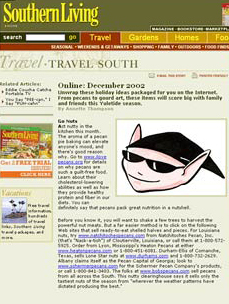 It includes everything from print magazines to online articles and videos. Please visit our blog for our up-to-date information regarding news, announcements, updates, current findings, and everything else pecan! View our latest videos on our Youtube Company Channel. 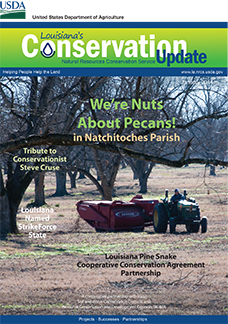 From Louisiana Conservation Magazine - January 2014 (1MB PDF) - How Natchitoches Pecans makes a little go a long way. From Pecan South - July 2012 - TriState meeting concludes with 265 million-lb estimate. From Louisiana Market Bulletin - December 2005 - Hurricanes nor fire can destroy the spirit of Little Eva. From Southern Living - November 2002 - Go nuts! Unwrap holiday ideas packaged for you on the Internet.